I haven't made a paper quilt in quite a long time so I corrected that this week. I confess that this had a lot to do with the fact that I was so sick and tired of the framed piece we have on our mantle. It had been there forever and I needed something new — a paper quilt came to mind. Since it's fall themed it'll force me to make something new for the holiday season too (kind of like 'tricking' myself into doing something - ha!). And you know I have to show you an all white version. For those of you that know me long enough know that working with white paper is one of my favorite things to do. Picture your wall color showing through each design (a bit brighter though since our gray weather gave me some darkish photos). Which do you prefer — color or all white? I'm always surprised how some of my sketches (messy ones—which is basically why I rarely show them) end up being exactly what I had in mind and others change completely. I never know what I'm going to end up with and that's part of the fun. I like these types of projects because of the challenges — the illustrations need to be simple, can still stand on their own or work with the other images around them. How do use this set? - Use it for gift boxes. 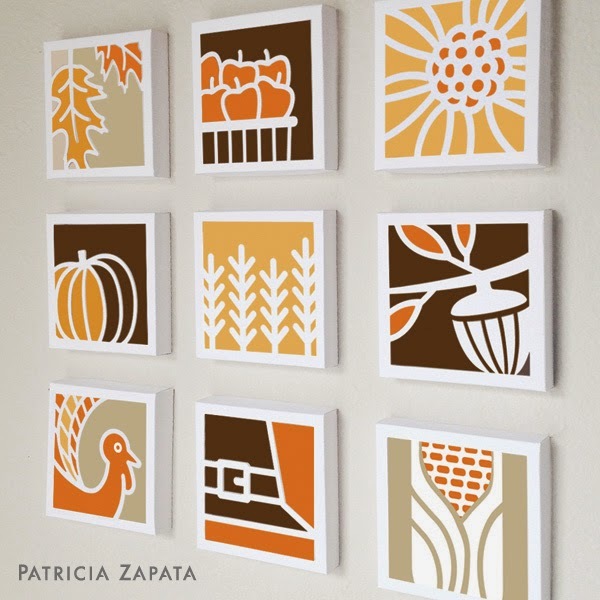 Some designs can make it past fall and Thanksgiving—like the apples, flower, acorn and leaves. - Change it up—what about dark frames? - Frame it! 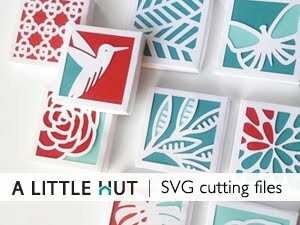 — use the artwork in drop shadow box (I really like the Ikea Ribba frames) or cut out the designs and use as flat designs. 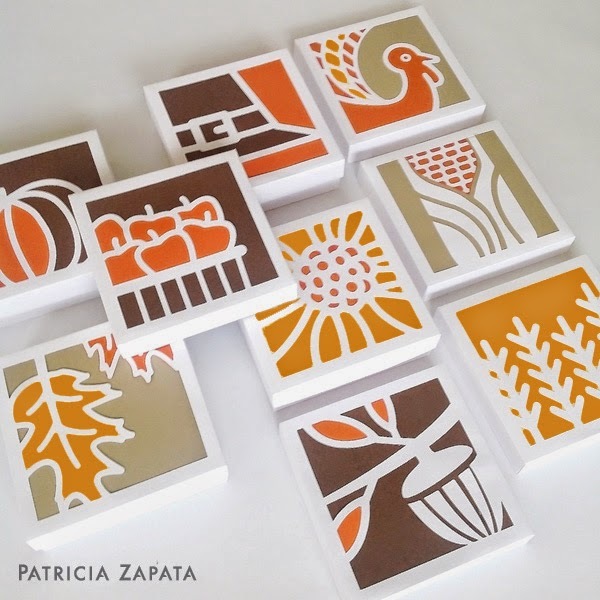 - Make cards and gift tags with the artwork. You can buy the Fall Paper Quilt in the shop here. It will be FREE (a super deal since it's a $9.99 value!) until Saturday, Sept. 20th with a $9.98 or higher order (coupon code: thankyou). 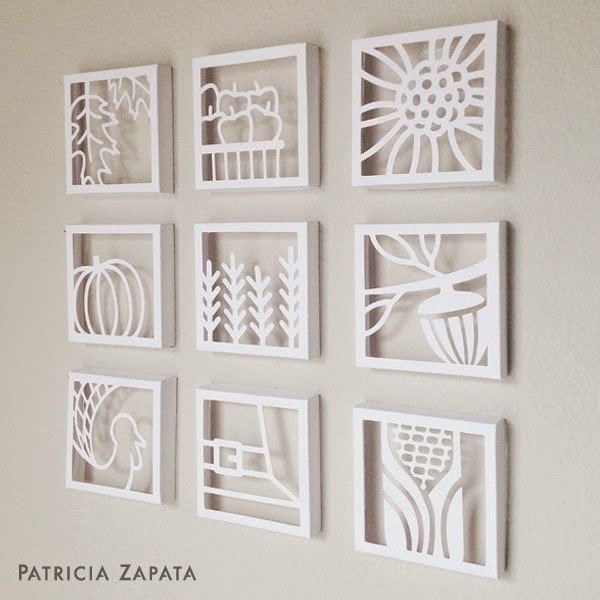 Beautiful, Patricia. Absolutely beautiful! Christmas still my favorite, but love these too.